POLLS: Why isn’t Hillary Clinton doing better with women voters? It’s been a tough year for political prognosticators. First, almost all of them told us that Donald Trump’s candidacy would be collapsing by now. Instead, the latest CNN/ORC poll shows that he is ahead of his closest Republican rival by 2-to-1. Now, one begins to wonder whether the commentariat is also dead wrong about women voters. Take the most obvious case: Hillary Clinton. Conventional wisdom has held that she would be virtually bullet-proof among a vast number of women who fervently want the first African-American president to be succeeded by the first female president. 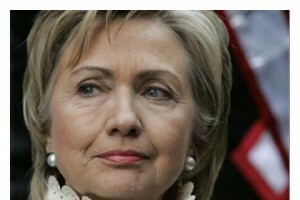 Just as important, Clinton has devoted much of her professional life to championing the causes of women and children. In a country where women’s pay remains grossly unequal and big corporations are still horribly slow in appointing more women to boards, she is widely seen as the best hope for breaking up the old boys’ network. Yet, in an odd political season, here is one of the greatest oddities: According to an array of national polls over the past month, many women voters have been drifting away from Hillary. In June, for example, a Wall Street Journal/NBC poll found that 51% of white women voters who have at least a college degree had a favorable view of Hillary, while only 38% were negative. The same poll a month later found those numbers reversed: 47% negative, 43% positive. Among all voters, her favorability now stands at the lowest point in 14 years, even lower than in her struggles in the 2008 campaign. She is the one hemorrhaging support, not Trump. Why isn’t Hillary Clinton doing better with women voters?